Leaving the office late one evening, after spending most of the day writing automated Checks for our application, i started to reflect on how my emotions. Earlier in the week i’d spent most of the day Testing and Exploring our application. The emotions i’d felt on those days were distinctly different. I decided to keep a track of my emotions to see if there was a correlation between how i felt when doing Checking or Testing. What is my Emotional Context? 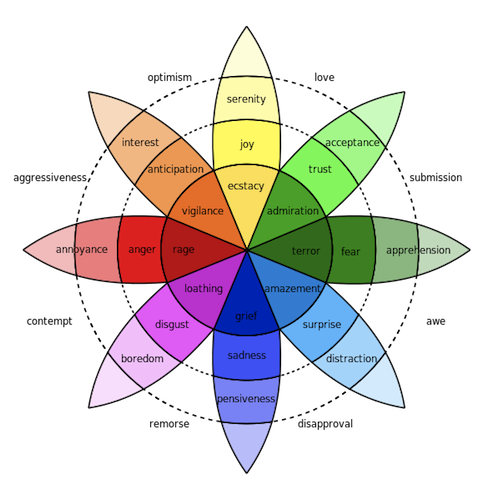 Using this model i’ve been able to start to identify the different emotions i’ve experienced when Checking or Testing. Some of the findings resonated with the emotions i’ve experienced writing code for Checks. When doing Checking i also usually suffer from confusion, frustration, boredom and flow. This is in contrast to Testing where i often feel the emotions of curiosity, happiness, surprise and anger. Flow was originally coined by Mihály Csíkszentmihályi who said creativity is a central source of meaning in our lives. “When we are involved in creativity, we feel that we are living more fully than during the rest of life.” He is the architect of the notion of “flow” — the creative moment when a person is completely involved in an activity for its own sake. As the study found, Flow/Engaged was a prominent emotion found when programming. This is something i’ve experienced too. Quite often when i’m working on complex coding problems i’ll get into Programming Flow which also has a link to the emotion of Ecstasy. With Testing, i don’t get that sense of Flow/Engaged, as profoundly. This worries me as Flow is defined as being “absorbed into your activity completely”. Upon reflection i’ve thought of a couple of competing emotions that may prevent me from getting Flow state in Testing. Firstly is being distracted which often happens when encountering a potential problem or a behaviour that interests me. Do i investigate? Do i Stop? Do i keep on my testing path? If the system under test is problematic the “distraction” is intensified. My creative thoughts can also be a distraction. I’m often overwhelmed with the number of potential ideas for Testing. Another interesting difference is the feeling of confusion when Checking compared to Testing. More worryingly there is evidence to suggest that confusion correlates to learning. If i’m not feeling confused regularly in my Testing then potentially my learning has stalled? Why are understanding our emotions important? Emotions and feelings are signals. Look into what they’re signalling. In my case i can look at the emotions i feel between Checking and Testing. I can accept that because i’m on a learning curve i’m bound to be confused and frustrated when Checking. I want to be more confused by Testing. I want to feel confusion in my Testing so that i can be confident my learning is continuing. I want to feel happiness in my Checking knowing the quality and coverage of my code is improving. I want to experience more flow state in my Testing to ensure my creativity is maximised. With the increasing emphasis on Testers, as Team Members having T-Shaped skill set, how do you feel? Maybe like myself you are a Tester who is doing more coding of automated Checks? How do you feel compared to when you Test? Or maybe you are a developer who has been asked to do some Exploratory Testing. How do you feel compared to when you code? Great article – I love all the references to external resources, as well as the conclusion! I too have recently found that frustration and confusion can be a good indicator that my brain is learning something new. An analogy to this would be having sore muscles after a workout. So when learning something, I have come to associate confusion and frustration with neurons rearranging in my brain in order to allow me to think in new and interesting models and abstractions. Framing it this way allows me to think of a confusing and frustrating problem as an interesting challenge waiting to be overcome. Maybe the way a climber would feel like when standing on the foot of a mountain. As with actual physical workout, I have learned not to overdo it though – acute frustration is also a sign for me to STOP, take a break, or maybe even sleep on it. When I tackle the same problem next time, I usually feel much more confident and familiar with the topic. By contrast, when I’m not feeling frustrated at all when testing or coding, it seems to me that I’m not doing anything particularly interesting – so maybe I should make things just a bit more complicated for myself. As for ‘flow state’, I assume this is the same thing that some programmers call ‘the zone’. In the Rapid Software Testing sense, this seems to be all about ‘focusing’ with none of the ‘defocusing’. Uncle Bob Martin actually warns even programmers against this practice in his ‘The Clean Coder’ book (link to a review mentioning this – http://blog.coryfoy.com/2011/06/book-review-the-clean-coder-by-uncle-bob-martin/). Personally, I have spend several hours in the ‘zone’ trying to fix strange bugs in my code. I would try to remain in the ‘zone’ because the code was difficult and if I lost my trail of thought it would take me a while to get back in. However, I have come to realize that this is probably just another kind of frustration – maybe I should take a break, defocus and try to make the complex code easier to understand, refactoring the one big complex part into several small understandable blocks. For testers, I think maintaining a big picture can be even more important.